As well as a broad range of consumer laptops, Dell also manufactures business machines under its Latitude brand. The Latitude E6410 ATG is a semi-rugged machine that, although expensive, offers formidable power, portability, usability and data protection for the business person. If you travel around with sensitive information on your laptop, the last thing you want to risk is losing it. Sadly, a fingerprint reader doesn't come standard here, but is available as an optional extra for £20. A SmartCard reader is included, however, and this lets you access your data via a SmartCard system, should your workplace support one. Protection for your data is well taken care of in terms of the hardware. 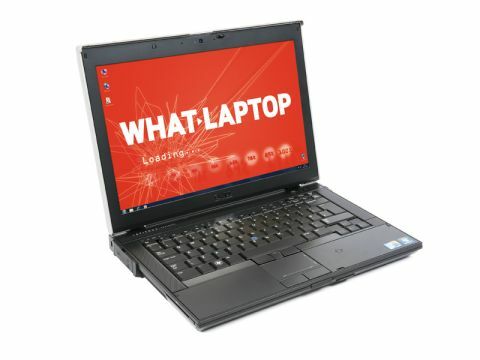 The laptop features a metal-strengthened chassis and has achieved the military-grade MIL STD 810G standard. This makes it suitable for use in a broad variety of extreme environments and climates. If you were to drop the machine, your data is given the best chance of survival, thanks to the 250GB hard drive featuring a free-fall sensor. This detects when the laptop has been dropped and docks the hard drive heads, therefore protecting the spinning disk and your data. Dell has also included a shock-absorbing technology called StrikeForce, which spreads the shock of an impact through the chassis away from the hard drive. The 14.1-inch screen may not be the most detailed we've seen, but is incredibly bright – making it great to use in all light conditions. However, the matt screen finish proved to be surprisingly reflective and a little irritating in bright light. The display is also a hardened touchscreen and, although we were unwilling to test just how resilient it is, we were impressed by its solid build quality. The touchscreen is responsive, but Dell has chosen not to implement any proprietary software, which makes the feature, you could argue, a little redundant. The Intel Core i7 processer and 4096MB of memory gave the second fastest benchmarking result we've ever seen, meaning the Dell will happily run even the most resource-intensive software, although the integrated graphics card means you're limited to light graphics use. Portability is also excellent and, although the 2.9kg weight is obviously heavy, thanks to all of the in-built protection, the 223-minute battery life is exceptional for a machine this powerful. It may be expensive, but the Latitude E6410 ATG is a hugely powerful machine that offers excellent protection for your data – if you're after a semi-rugged portable this is a great choice.